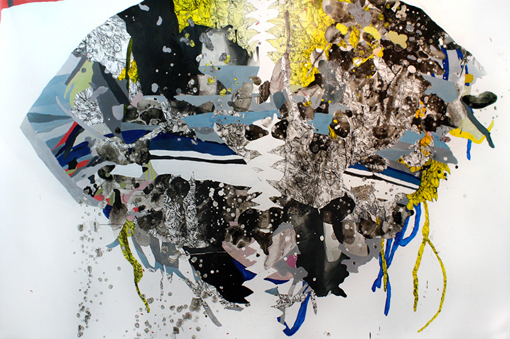 Katherine Tzu-Lan Mann received her BA from Brown University and MFA from the Maryland Institute College of Art. She is the recipient of a Fulbright grant to Taiwan, the AIR Gallery Fellowship program in Brooklyn, NY and the So-Hamiltonian Fellowship in Washington, DC. She has attended residencies at the Virginia Center for the Creative Arts, Blue Sky Dayton, Vermont Studio Center, Salzburg Kunstlerhauss, Triangle Workshop, and Anderson Ranch Art Center. Some of the venues where Mann has shown her work include the Walters Art Museum, Corcoran Gallery of Art, Rawls Museum, and the American embassies in Dubai, UAE, and Yaounde, Cameroon. Mann is currently an instructor at the Maryland Institute College of Art.